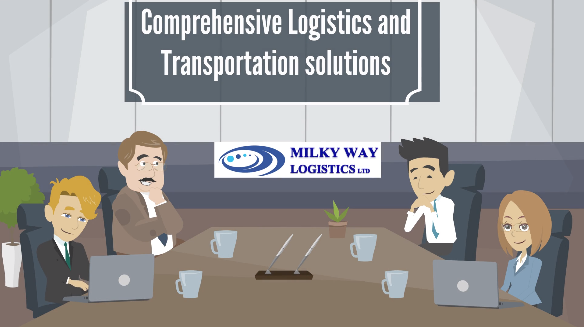 Milky Way Logistics provides professional shipping services to Kuwait because there are some benefits for businesses in the UK to have export and shipping to Kuwait. When you are shipping to Kuwait there are considerations such as there are not taxations on personal incomes in Kuwait as well as the diversification in the Kuwait economy which has growth. The Kuwait government has been investing on infrastructure projects for over £ 70 billion which as an PPP approach. For shipping to Kuwait there are strength such as having a free trade zone and stable regime as well as Kuwait’s strategic locations and its proximity to Persian Gulf markets. One important strength of having trade and shipping to Kuwait could be referred to its currency which has the highest value among World currencies. There is also the cost of business in Kuwait which is on a moderate level. There are obviously specific regulations in Kuwait which creates challenges in shipping to Kuwait. If you need to have a physical presence in Kuwait market then you should think of a long term relationship with the businesses in Kuwait. However, there are some serious restrictions on ownership of a company by a non-GCC and as a result finding a sponsor within the Kuwait market. For any shipment to Kuwait all suppliers must arrange for specific documentation as there are restrictions by Kuwait custom on required documentations and a shipment could easily face demurrage and detentions expenses if they fail to present necessary documentation. The required documents could be including but not limited to original invoices, original certificate of origin, packing lists, airway bills or bills of lading and certificate of conformity. All the documents should be clearly addressing the consignee in Kuwait with full address and contacts. All the documents should show the consignee’s full name and address and contact as well as full cargo description including weight and dimension and packaging and origin and shipping terms. As per the rules and regulations of the trade and import to Kuwait, for shipping to Kuwait commercial invoices should be legalised by the Chamber of commerce at the origin. For a competitive quote on your shipment to Kuwait, please contact Milky Way Logistics today at enquiries@mwll.co.uk and our experts will contact you with bespoke same day quotation as per the details of shipment and your requirement.